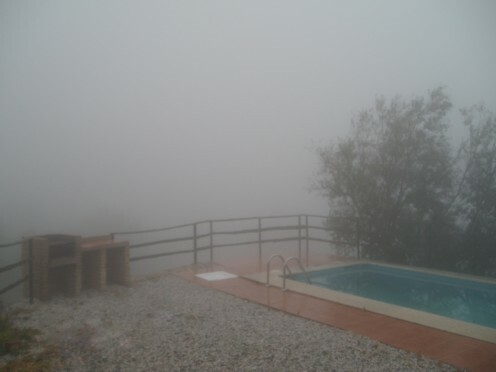 The Costa del Sol means 'Coast of Sun' .... right? Well, the answer to that is - while there certainly is an awful lot of sun and temperatures in the high 40's in the summer months, there are also plenty of other variations, Costa del Torrential Rain, Costa del Hurricane Force Winds ....even Costa del Snow? You don't think it's possible? Well - read on. When my husband first proposed the idea of moving to sunny Spain saying 'Imagine waking every morning to blue skies and sunshine', I thought - 'ewww, no, how boring'. I love the variety of British weather where all four seasons can easily be experienced in one day - but I needn't have worried, not only do we experience all types of weather but it's often in its most dramatic form, in fact I didn't realise that it was possible to experience such extremes of weather on the Costa del Sol! Okay - so we're not exactly a stone's throw from the beach, gazing onto the sparkling azure waters of the Med. We are in a hamlet in the countryside 30 kms from the nearest coastal resort of Torre del Mar and about 550m above sea level but it is still the Costa del Sol even though most people think of sun beds on the sand and pitchers of sangria rather than the local herd of goats and farmers with their donkeys passing by. We signed the papers for the house on a beautiful December day in 2002. After visiting the lawyer's office and the passing of the obligatory brown envelope stuffed with bank-notes, destined to be stuffed in the buyer's mattress, under the table, we all retired to a restaurant for a celebratory lunch, sitting on the terrace, basking in the warm rays of sun while feeling rather sorry for the folks in the gloom back home - as if!. There was a fair amount of work to be done on the house before it would be fit for human habitation - although the spiders, geckos and field mice quite happy with it as it was! - so my husband set out at the end of February 2003 to make a start. Him - now very bewildered .... 'Course I have - hang on a minute I'll just look outside' - sound of slippers shufflingly receding - pause - sound of slippers shufflingly returning - 'It's almost dark, throwing it down with rain and I can't see to the end of the terrace as it's covered in cloud'. Well, so much for getting any work done that day - or the next, or the next. In fact the weather stayed like that through the rest of February, March and on and off for April and May for good measure. * No offence meant to anyone from Grimsby - just liked the 'grim' sound of it. Did you know that wheelbarrows can fly? No? - well neither did we until after a night of lying in bed listening to what sounded like Hurricane Katrina all around the house. We went out in the morning to find our garden furniture floating in the swimming pool and the heavy iron wheelbarrow lying on its back 200 metres from where we'd left it. Some friends had that heavy ornamental cast iron garden furniture on their terrace - so heavy that you were at risk of a serious hernia just pulling it out from under the table.They discovered theirs that morning scattered to the four corners of their garden (it still took two of them to retrieve each item!). What force of wind was capable of doing that? 7.30pm. 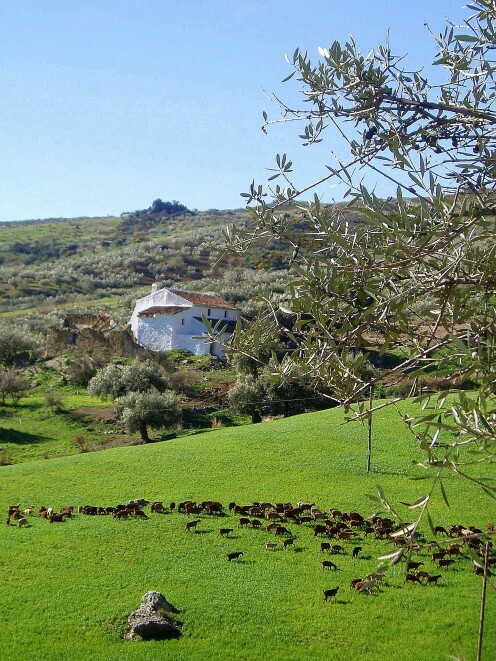 The olive trees behind the house. Charlie didn't know what to make of it! We had actually experienced some snow a couple of years before when we'd had a few days of bitterly cold temperatures, down to -5 degrees at one point. 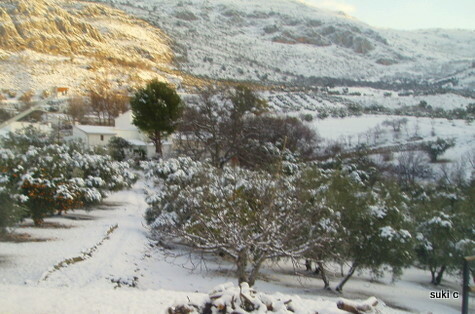 Our neighbour who's 76 and lived in the village for the past 40 years said he couldn't remember such cold weather and when it actually snowed one morning he was like a little boy! However, as soon as the sun appeared over the mountain behind our hamlet, the thin covering swiftly melted. In January 2009 it was a different story. 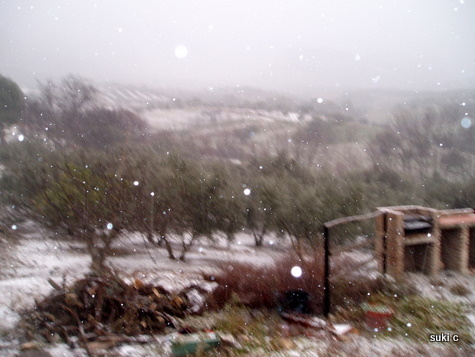 The snow started on the evening of the 10th and right from the beginning started to fall heavily. Our house is set on the edge of the hamlet and on a busy day - such as a fiesta - we may get half a dozen cars an hour pass along the road at the edge of our field, so we were somewhat bemused to see 30 or 40 cars park up along the narrow road and families emerging to throw snowballs and toboggan on the steep hill opposite. We decided to get in the car and investigate just why so many were ending up in our hamlet. When we drove down to the main road leading from the coast up to the Sierra Nevada ski resort (a two hour drive away), we discovered that the police had set up a road block and were only allowing those vehicles with snow chains fitted to their tyres to proceed further. 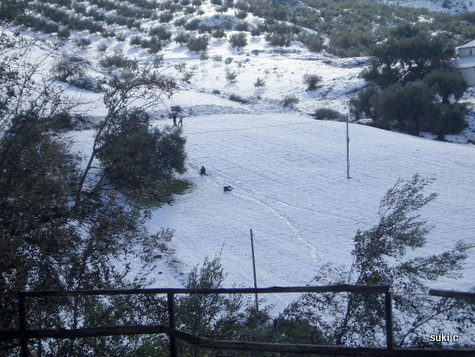 Well - as you can imagine - they're not the most commonly sold items on the coast so most vehicles were turned away and ended up heading to the lower slopes of our village where the kids (young and old) could still experience the fun of playing in the snow. The cars who had been to the higher altitudes were later to be seen driving back down to the coast with snow-men proudly perched on their car bonnets - some even attempt to make it down to the beach to show off their trophies to the sun-bathers. It was all too short-lived. 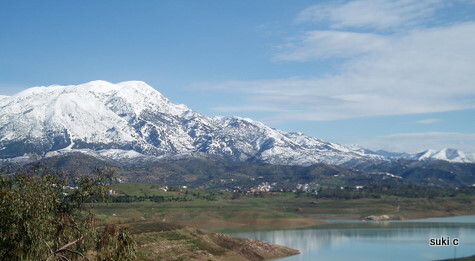 By early afternoon the snow had all but disappeared although Mount Maroma , the highest mountain in the Sierra Tejeda at 2066m, remained snow-capped until the spring. Live webcam - see what the weather's like today! Holiday apartments, Costa del Sol, self catering villas with pool and restaurant. Please note all of the photographs in this hub are my own and may not be copied, used or reproduced without asking for and receiving my permission. A selection of my images are available to buy as cards and prints at my web page on redbubble where I am known as cassiegirl. 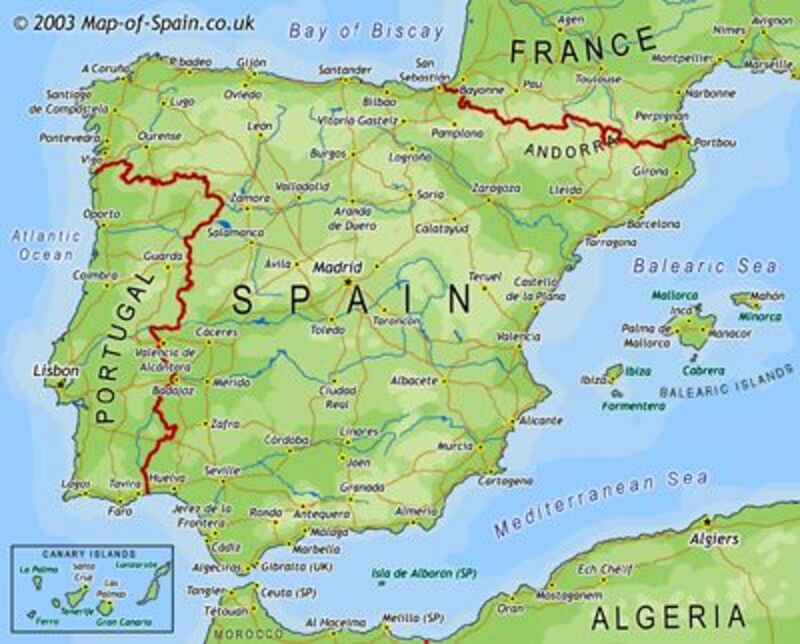 For the past few years we had been going back & forth between our home here in Spain and a flat that we'd kept in the UK, Unfortunately, with the effects of the 'credit crunch', it was becoming an enormous drain on our finances. So, a decision had to be made and in December 2009, having sold the flat, our remaining furniture & possessions were shipped over to Spain. 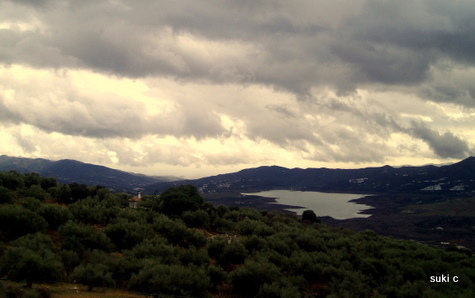 We'd had four years of very little rainfall and all of the reservoirs in Andalucia were significantly depleted. Our local reservoir, Lake Vinuela, was down to an alarming 13% of its total capacity and we were becoming very worried about the likelihood of severe water restrictions for the foreseeable future. Our furniture arrived on a sweltering December day just before Christmas. The lorry was able to get as far as the bottom of our drive and then everything had to be either carried up the steep slope by hand or, in the case of the heavier items, hauled up by tractor. As we were in the process of this mammoth task, the first drops of rain fell onto our precious belongings leading to a scramble to find plastic sheeting to cover the items. We managed to install our furniture in the house in a relatively dry state, but, over the next few days the duration of the rain steadily increased to the point where we had virtually continuous rain for the next three months. 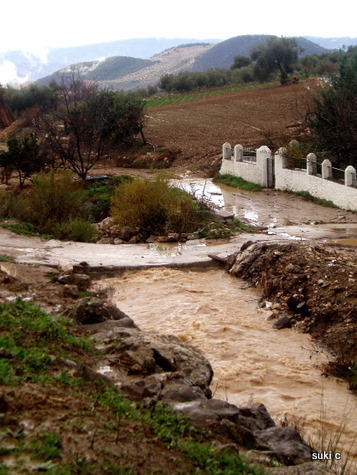 On Christmas Eve there was a record fall of rain leading to widespread flooding in Andalucía, and for the first time since we'd been in Spain, we were forced to eat our Christmas lunch inside the house! 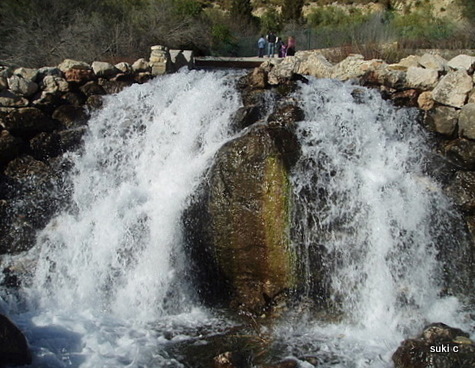 We live near the source of one of the rivers that feed the Vinuela reservoir It runs past the bottom of our land and it soon became a raging torrent - in fact it is still running, albeit at a gentler pace, as I am writing this in the middle of July! We use a small bridge to reach the road from our property and, luckily it remained above water - unlike our nearby neighbour who became completely cut off! The water level in the reservoir rose so high that in February the excess water had to be released to simply run off down to the sea. Still, as I say, I'm writing this in the middle of July, the temperature on our terrace at the moment is 34 degrees in the shade, the land has once more turned from green to a crispy golden brown and, apart from the holidaymakers down on the beach, everyone is once more happily complaining about the unrelenting heat - roll on winter!!!! Are you surprised by the weather in some of these photos? WOW - that IS early Lala!!! Great article Suki C, and oh so familiar!!! We had our first snow this year, 2013, on the 16th November! Yes just like you Barbara I'm melting in the heat, and like most here I'm complaining about it....a day of rain would be very welcome right now! My favourite time here is autumn, winter and spring when as you know the weather is mostly wonderful! We've just come through the wettest winter on record - but It was great as it means that we won't have our normal concerns about the water supply this year! 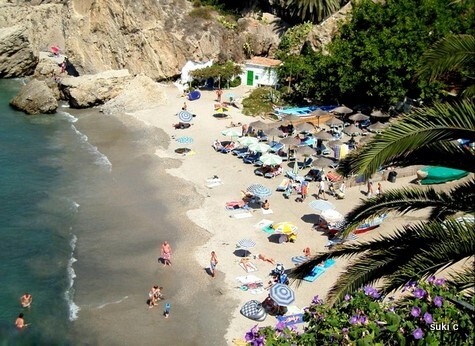 I've been to the Costa del Sol, in the summer though and it was a lot of sun! And of course it is expected to be sunny all the time, but I personally love different weather and change of seasons. You are absolutely blessed to live in such a beautiful place! Great pictures and great writing! Hi Trish, thanks for your comment. This year we had an unusually wet winter and, in fact, there was torrential rain all day yesterday ..... in June!! I'm glad I found this & sorry that I had missed it before. I really like the Costa del Sol, and, though I expect it to be warmer and sunnier than most of Europe, I know that this is not always the case. I remember asking a Spanish family about the snow on the mountains ~ but I didn't expect it to be found so close to the coast. Very interesting, entertaining and illuminating. This is a great read - very amusing and informative - I'm looking forward to reading more about your life in Spain. This is eye-opening stuff - I always thought the Coata del Sol was just that - sunny! Pickled - these pics were taken last year - this year it's been raining virtually non-stop since mid December!! I asked a question on the site and you very kindly posted this link. WOW, what fantastic pictures, I must admit I had always thought that the Costa Del Sol meant sun sun and more sun. Wrong ! Thanks for this. Meg - if I had a log burner right now, I'd definitely light it, I think we're in for another cold spell! ha ha - that must have been an experience! In our local village, people regularly find their neighbours washing on a windy day - blown off each other's rooftops! bigmikeh - yes, the extremes can certainly be dramatic. In the summer, I left a digital thermometer out in the sun to see what would happen & it broke!!! In the summer we visited Andalucia and spent the first few days touring before going down to the coast. 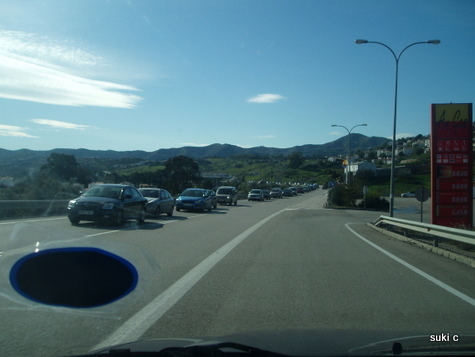 We stayed in Arcos and Zahara de la Sierra, and visited Cadiz for the day. The scenery is dramatic and your pictures show very different weather to the 44 degrees we experienced. Sufidreamer - well, I'm guilty of thinking that Greece is all sunshine ha-ha. Are you living your dream there? I'm surprised by your weather BTW - I always thought that the American mid-west had severe winters - shows my lack of geographical knowledge!! Great Hub, Suki. I found your connection on fotothing. Living in the upper midwest of the United States, I have not experienced your type of weather. But then each location has it's own unique characterists. This year October was very cold, much like November weather usually is. Then November was beautiful. So as the old saying goes in some places, if you don't like the weather, just wait for a bit and it will change. I do believe your location would be a great place to visit. Great Hub, Suki, and we sympathize with you fully. So many people in the UK think that Greece is the land of perpetual sunshine, but it is very cold, wet and snowy in the winter. We even had snowball fights last year! sannyasinman - yes, but make it water-skis in July/August :) it regularly hits 40c then!!!! Suziecat - are you sure? ........ brrrrrr!!! Very fun to read Hub. Looks beautiful to me too. I'd even take a dip in the pool in the fog. I'm so glad you enjoyed reading it Paradise7. There were a LOT of miserable days ha-ha! I know what you mean about upstate New York, I was visiting there one winter and got totally snowed in, now that WAS a cold place! I don't know how I missed this hub before! What a good hub! I enjoyed the story of your experiences so much. Especially when you were expecting your husband to get all this work done and it was a miserable day (sounded like British or Upstate New York weather, eh! ); and then...the real surprise! Snow! I never would have thought you'd see snow there. Good hub. 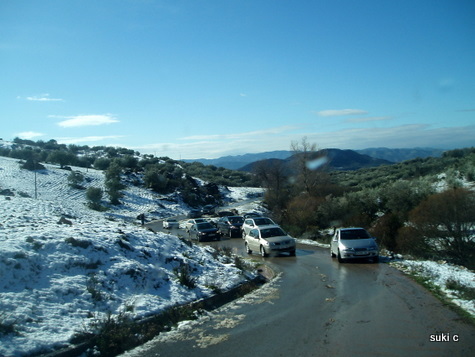 People back in the UK just don't realise how cold and wet it can and does get here in southern Spain. Like many others before us when we moved here we never expected it to get to Zero in the winter, it came as quite a shock! We have now bought a log burning fire and enough wood to keep us cosy this winter....thankfully I brought my boots and winter coats with me from the UK. Thanks Richard ;) I'm working on a couple of new pages - but it's going slowly - I keep finding distractions lol! Rreally interesting read. Let's have some more! You're right about the need to check it out first - too many fall in love with a place in the high summer while on holiday. Things can look so different when sitting in an almost deserted bar (apart from the obligatory Spanish old men nursing their one coffee per hour) with no heating on a gloomy January day! We've it seen down to about minus 6 where we live - though it felt much colder in the gale force wind - but never as low as -11 !!! I think anyone thinking of buying in el campo should check the place out in Jan or Feb to avoid a possible nasty surprise. 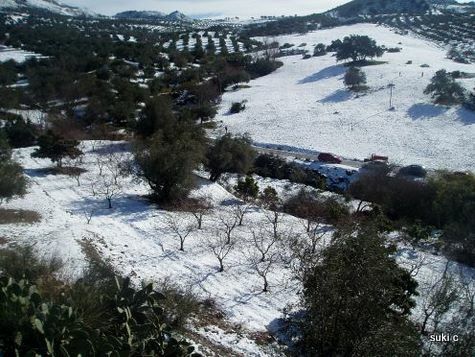 Lots of people dont realise that most of inland Spain has cold Winters and a fair bit of snow, however on the plus side mostly lots of sunshine also. 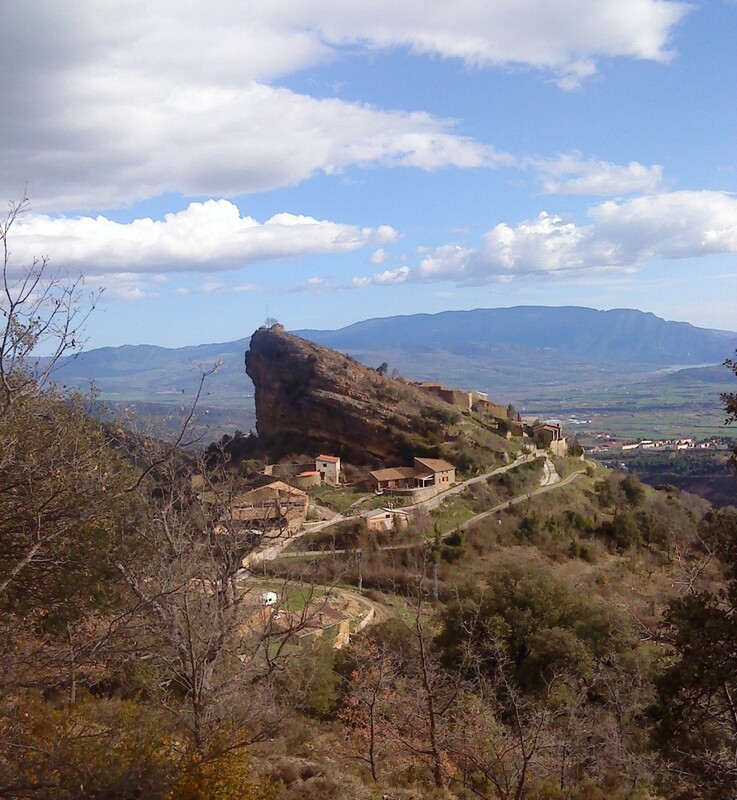 My present location,when I get back there,is about 25km inland from Valencia at 270mts asl. Even there I have seen minus 11c a couple of times and 4 year ago quite a covering of snow, though the local villagers in the valley down below said at the time it was their first snow in 50 years. I lived in the Canaries quite a few years,..much milder Winters,..just a bit of snow high up around Teide. Also spent some time around Andalucia,especially the Alpujarra region,and liked it very much,but often thought it might not be such a good place to live in Wintertime. Like your photos very much Suki,..hope to drop back in sometime...Hasta la Pasta,...D.D. Kerry - thanks for your great reply. Yes - many days I'd be sitting watching 'A Place in the Sun' in the semi-gloom when the presenter is saying 'you really don't need a big kitchen here as you'll be doing most of your eating outside' - when the reality is it's been chucking it down solidly for the past two weeks!! Descriptive, humorous and very accurate Suki. 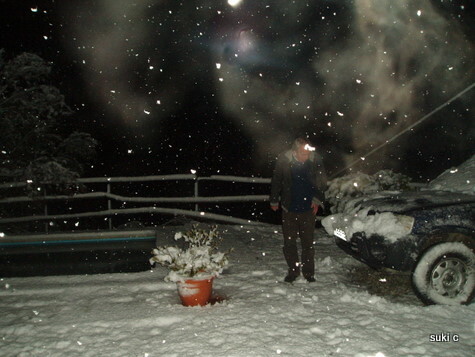 With our first winter(2005)in the same region as you, came the snow and with that came the burst water pipes. There were icicles hanging from most houses, and what with there only being one plumber in the village, the wait for repairs was long.. With the bad weather came the power cuts too. Once power was restored a cheer would go up and candles blown out, only to hear groaning 30 secs later while everybody stumbled around in the dark searching for matches to relight the candles ...again! It really made me wonder just how people used to manage without electricity and running water. It also made me think "what I wouldn't give for a hot shower and some under floor heating right now!". We are spoilt in this age of technology, but if you choose to live in rural Spain you have to take the downside as well as the ups. The reality is that when moving abroad for "a place in the sun", you have to realise that it's not going to be the answer to all your problems. Like with anywhere it has its upsides and its downsides. Hi, Im moving to Hondon de los FRailes tommorow, we are so excited myself, girlfriend and two children. We love the snow, but hope that we dont actually see any when we are there. GOSH !!! I'm shocked - I've seen a flurry or two here in Hondon Valley but not the WHITE-OUT like above. Still lovely photos... but glad these 'freaks' are few and far between. Au utterly enthralling first hub. The contrasts and extreams in weather is something I wasn't aware of and I'm not sure many other people are aware of this too. The Costa del weather is not what it seems. I love the singing dog with backing vocals and the other pictures add depth to your hub. Looking forward to the next weather forcast. I'm so sorry, Suki about the false alarm! I'm back now viewing this and it's perfect. I don't know why I saw what I saw (or didn't see for that matter). I did try refreshing too and that didn't work. Excellent job for a first hub! Your placement is awesome and overall, very impressive, Suki. Thank you and you're doing exceptionally well so far. Hello Dohn, I'm so glad you like my first attempt at a hub - think it's good to show the other side to what is often a pre-conceived idea! As for the photos - I have no idea why you aren't seeing them correctly. They are showing fine on my screen. Is there anywhere on the site that I can check it out do you know? What beautiful pics! I found this hub very entertaining and would like visit Spain one day. I had no idea that you could have such extreme temperatures there! Although I love all you pics, I could not, unfortunately view the herd of goats. 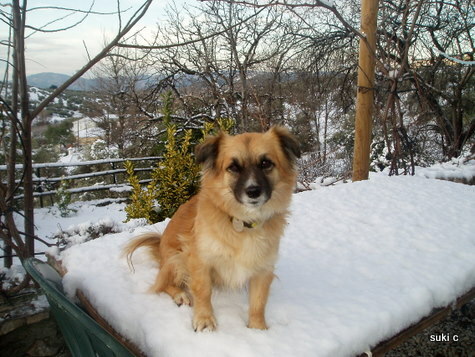 The pic of your dog has some misplaced text for some reason (I've never seen that before here at HubPages). Sorry, I just thought I let you know. Thank you so much for the hub!